A reader asked me to look into a Twitter war that broke out yesterday among doctors and an investor in direct primary care practice Forward, described by Quartz nearly two years ago as, “a slick, seamless, Uber-like experience, a bit like a luxury health spa on the starship Enterprise.” The company was founded by Adrian Aoun, a 34-year-old investor and former Google special projects director. 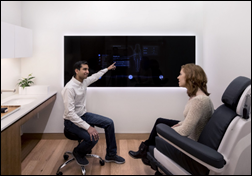 Aoun describes Forward — which operates gadget-heavy, millennial-focused concierge medicine clinics in three cities (San Francisco, Los Angeles, and New York) — as “a doctor’s office that looks and feels more like an Apple Store … you’ve got this kind of cool thing where you’ve got the doctor’s office that kind of learns over time.” Members pay $1,800 per year (not covered by insurance) for unlimited access to doctors and lab tests. 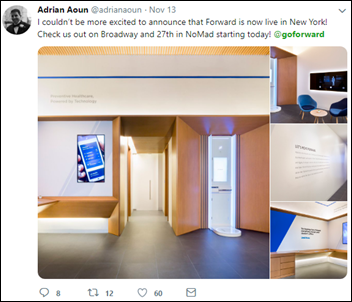 The original tweet involved a Wall Street media site’s interview with Aroun (which was mostly him pitching the company in response to frothy questions). 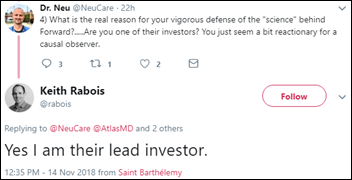 Some healthcare folks questioned on Twitter whether the company is really doing anything innovative or important, which obviously ticked off a remarkably hostile and defensive Keith Rabois (who disclosed only late in the conversation in response to a direct question that he is Forward’s lead investor). Keith Rabois is a billionaire Silicon Valley investor who put early-stage money into PayPal, LinkedIn, Square, and Yelp. He is one of the so-called “PayPal Mafia” that also includes Peter Thiel, Elon Musk, and Reid Hoffman. His educational background is a JD from Harvard Law School. He’s a partner in Khosla Ventures. Rabois claimed in 2015 that computers would replace doctors and lawyers. As is the case with some other members of the PayPal Mafia, his personal history suggests brash brilliance, but with some character issues (1, 2). 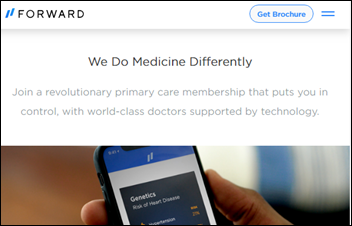 Forward is a direct primary care practice (“A full-stack company: doctors, designers, and engineers work together to build their own software and hardware, including our own electronic health records system” that “prevents us from being held back by legacy systems.” The company emphasizes its tech-heavy “custom-built exam room,” a body scanner, and a care management system. The company has offices in San Francisco, Los Angeles, and New York. It has 12 young doctors on staff, with either two or three offering services at each location. Doctors who spend time listening instead of performing administrative tasks and note-taking. The company’s job openings are mostly for “brand ambassador” and “membership sales advisor” positions. It is hiring for remote care coordinators (first responders) for $17 per hour with no medical benefits. It’s also looking for several remote medical scribes and 12 primary care physicians. Hiring and retaining doctors. Are they unnecessary, as Rabois has said, or are they empowered to work in non-traditional, satisfying ways? Scaling beyond a modest three-city, six-office operation. Convincing health millennials to keep their memberships after the initial customer service thrill, realizing that most of them probably require no ongoing services and could just as easily see an insurance-covered PCP for their infrequent medical needs (and they still need insurance for non-routine medical needs anyway). Customer acquisition cost and retention rate are key. Steering away more expensive members, such as the elderly, those with chronic diseases, and those who might take advantage of an all-you-can-eat membership. 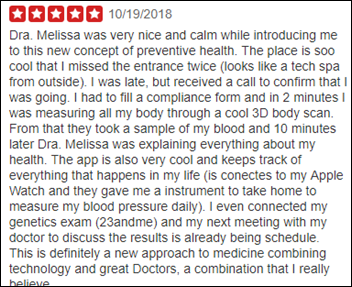 Proving the value of its practices in outcomes beyond wowing customers with Star Trek gadgets, sparkling water, comfy chairs instead of exam tables, and Lulemon shorts instead of paper gowns. Complying with a myriad of state-specific medical practice laws. 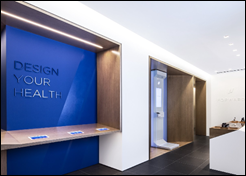 Competing with other investor-backed, ambitious chains such as One Health and Carbon Health as well as creative local concierge practices. Trying to disrupt an industry that is not only complicated for outsiders to understand, but full of big players that are resistant to disruption. Your thoughts and personal experience with Forward are welcome. 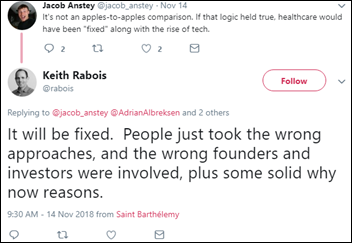 Rabois (which sounds like a funny portmanteau of “rabid fanbois”) just guaranteed no physician with informatics experience will ever work with him. I’ll be curious to see in 5 years how well his hobby is coming along. Hipsters choosing a doctor based on Instagram-impressing office space to take selfies with their medico-barista? Sounds like a wise investment. And what’s the deal with the guy being both a loudmouth homophobe and a gay man? There is no value in what they do other than give you a bunch of vitals you could get at any traditional practice. It’s not millennials that are paying the cost of the membership it’s tech companies that offer the membership for free. It’s a busy space for the company there are numerous other fancy office buildings with more well established footprints (one medical).